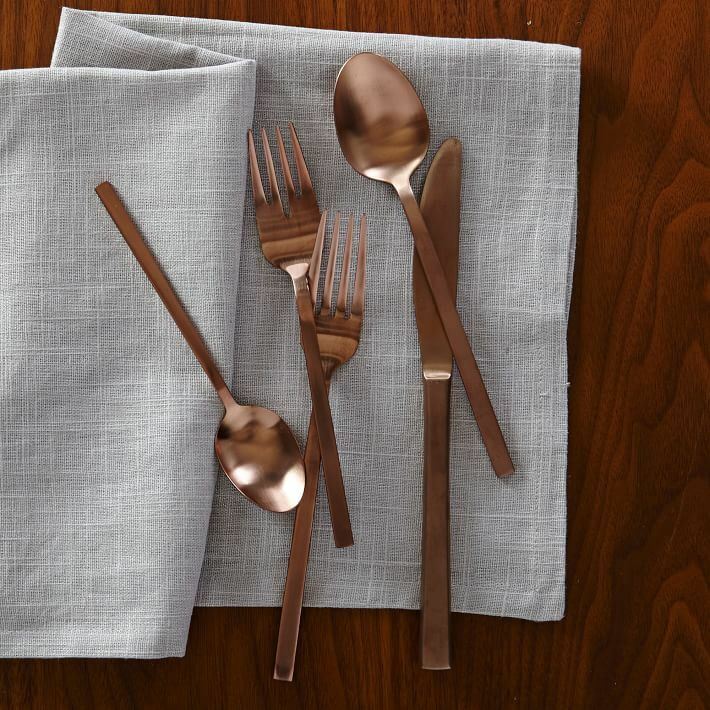 There’s something happening in the world of flatware… It started with brass infiltrating the collections once reserved solely for silver-toned pieces. 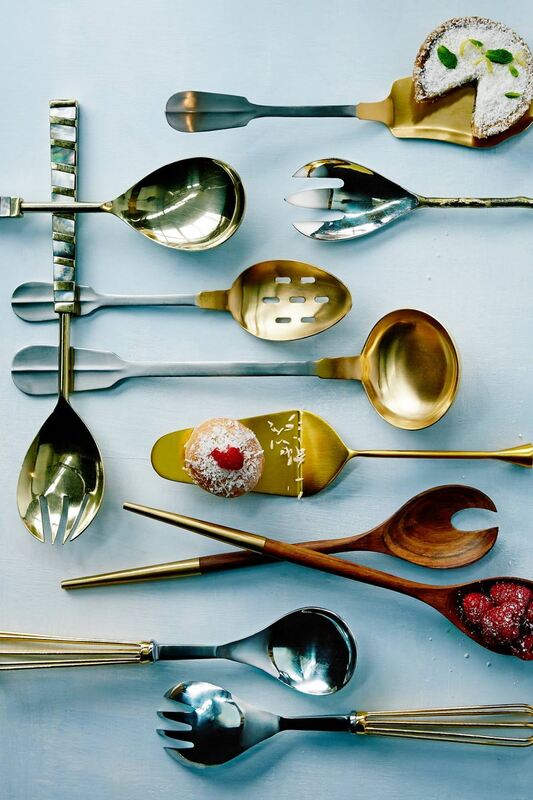 Do you remember how unique and unusual those first few sets of brass flatware were?! 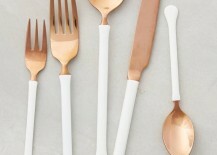 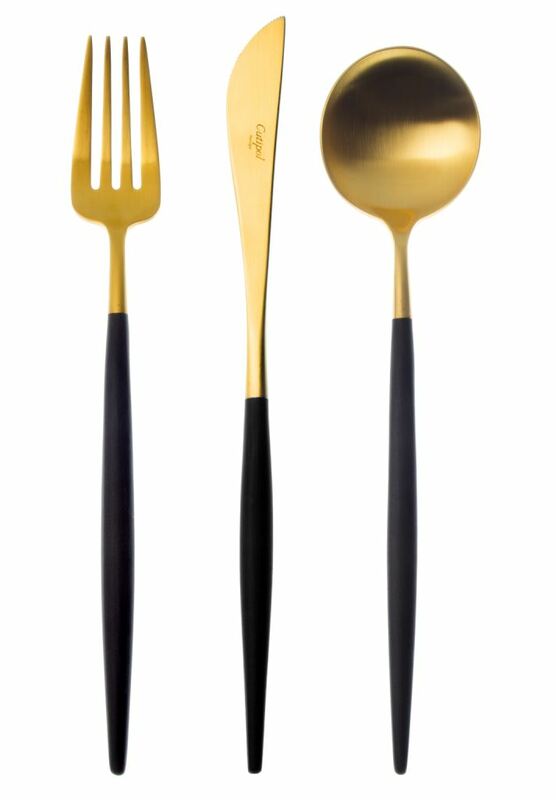 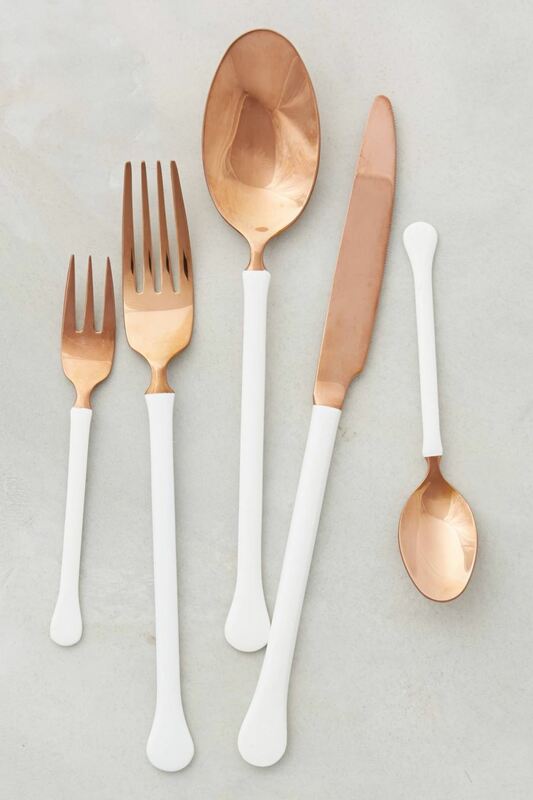 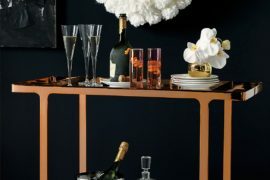 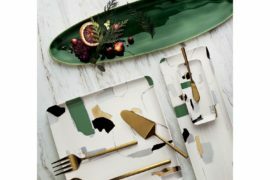 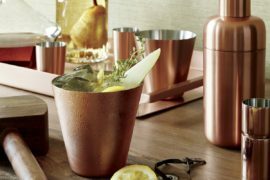 Now that brass has officially caught on, designers are testing the waters with some gorgeous, innovative flatware solutions that involve rich finishes, two-toned style, and even iridescent flair. 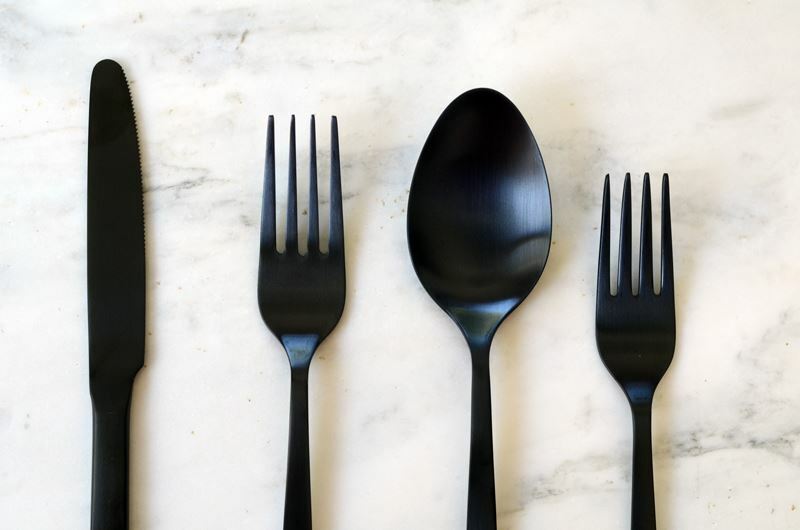 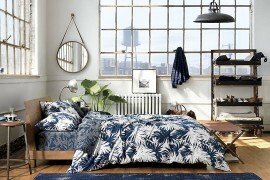 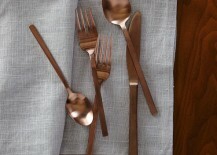 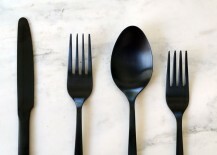 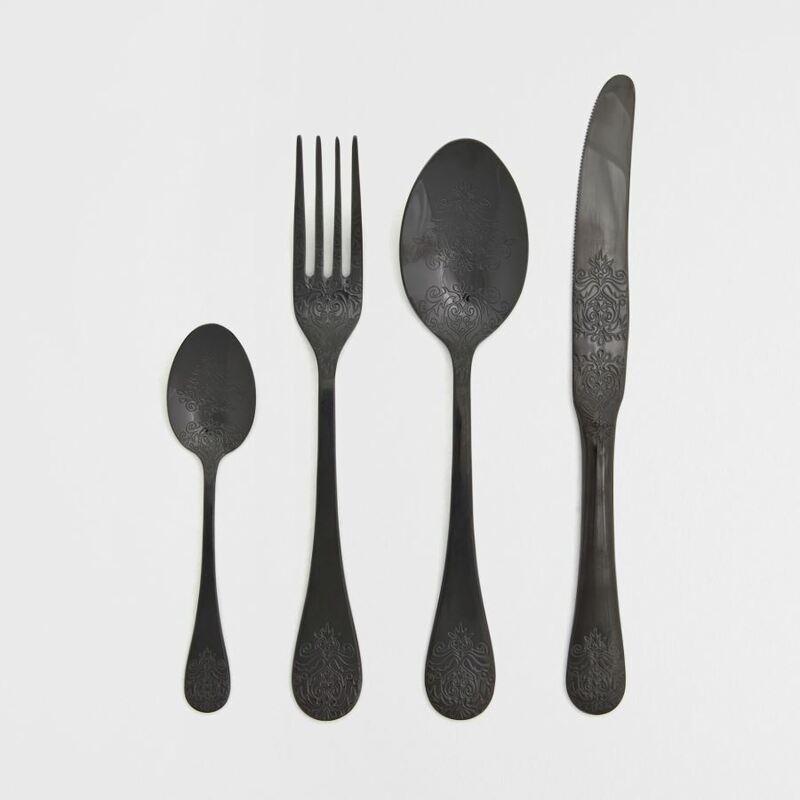 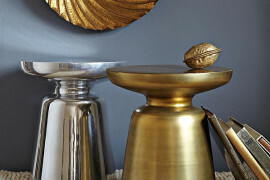 Read on as we walk you through some of our favorite flatware finds! 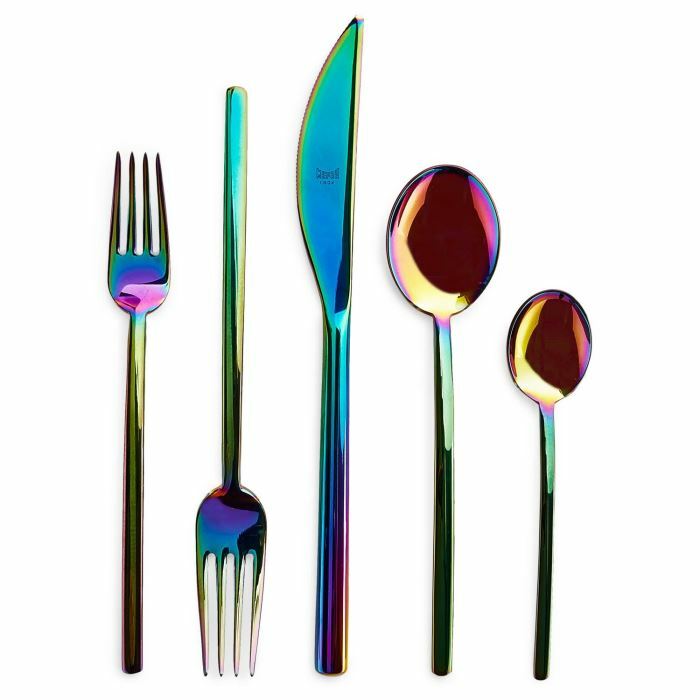 Although this Radiance Flatware from was ahead of its time (available as early as 2010), it’s no longer for sale. 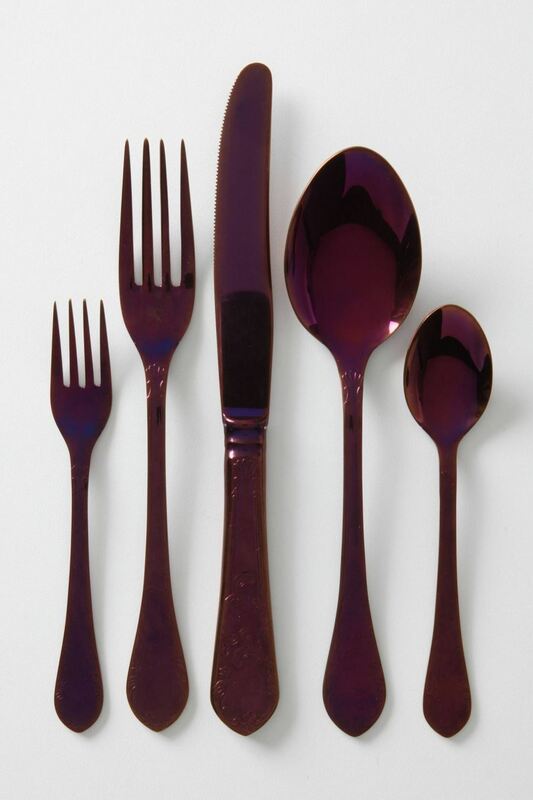 But we had to include it in today’s roundup, as the purple coating beautifully combines with the flatware’s warm undertones for an irresistible dose of color that can’t help but be intriguing. 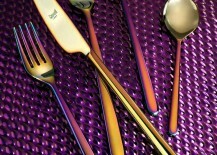 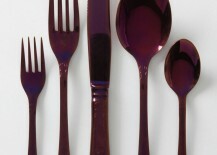 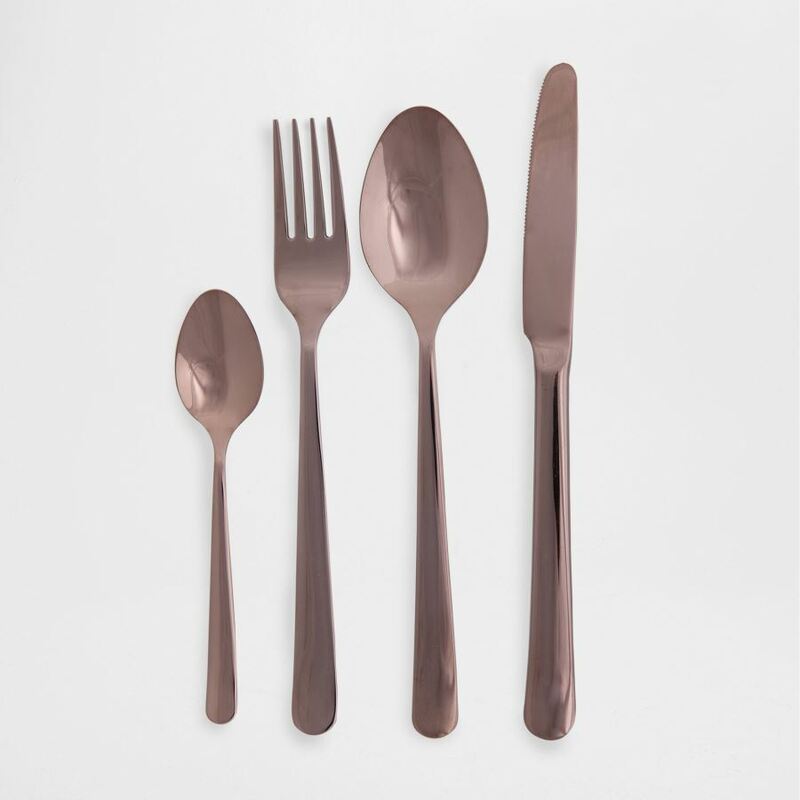 We now shine the spotlight on two-toned flatware! 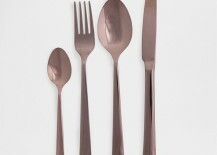 offers a range of options, including the shown in the image below. 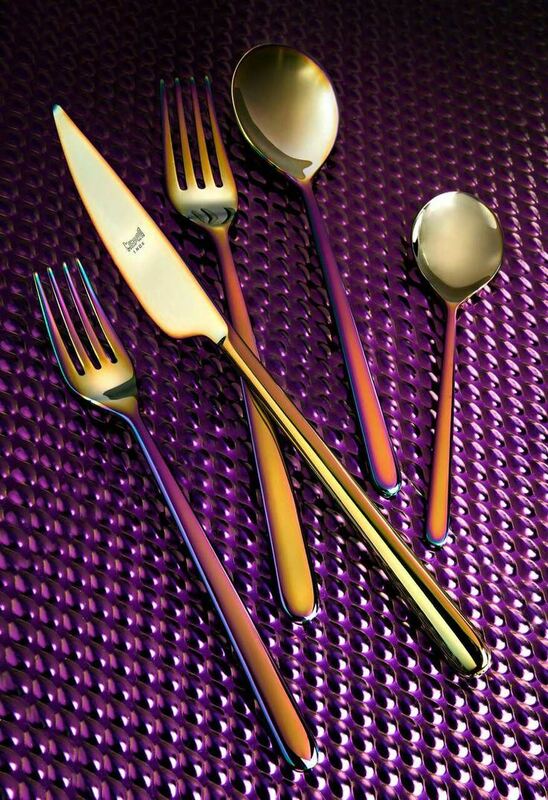 Stainless steel and 24-karat gold plate make a fetching combination, don’t you think?! 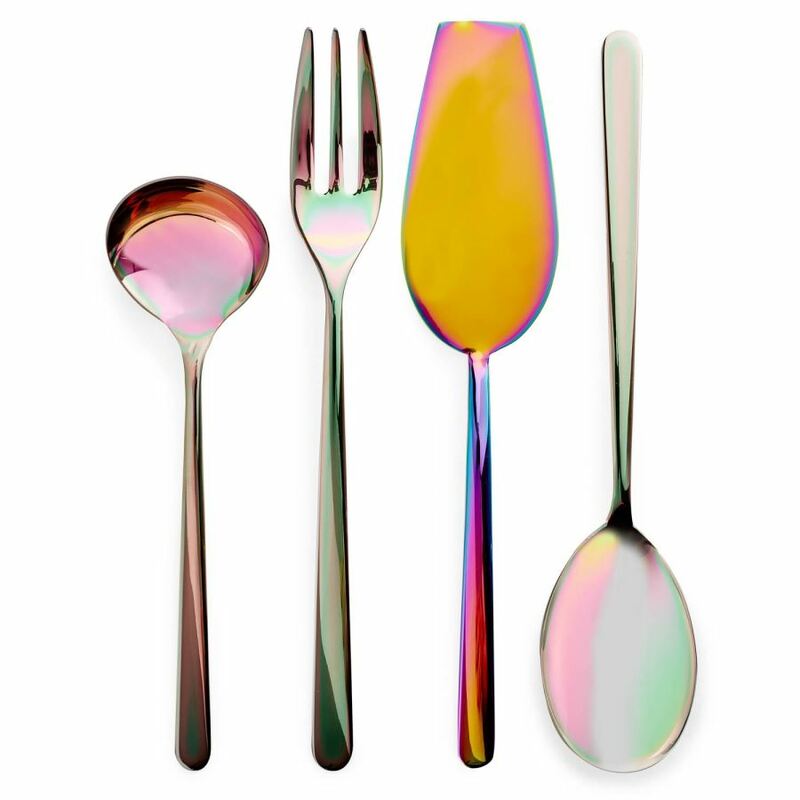 For the ultimate in flatware trends, we end today’s post by shining the spotlight on Mepra Linea Rainbow titanium flatware from Yes, it’s iridescent, which means that no two pieces are alike! 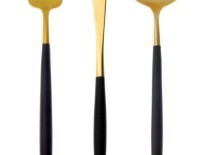 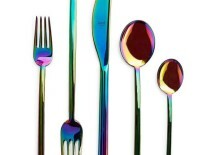 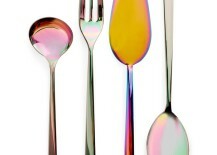 While on the expensive side, this line can also be purchased as individual Iridescent Serving Utensils through . 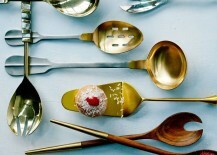 So go ahead and splurge on a gravy ladle or a cake server without having to purchase an entirely new set of flatware. 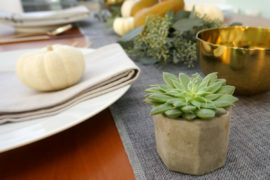 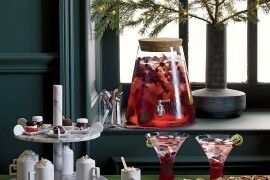 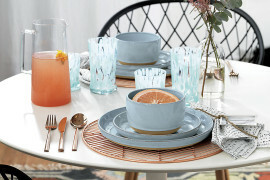 Investing in one nice piece can transform a tabletop spread!